Reading is the foundation of one's learning experiences. If a child struggles with reading, it's not uncommon for them to encounter challenges in other academic subjects as well. Fortunately, there are some actions you as a parent can take to provide effective reading help and improve your child's reading abilities; five of these are discussed in more detail below. It is never too early to introduce your child to reading. 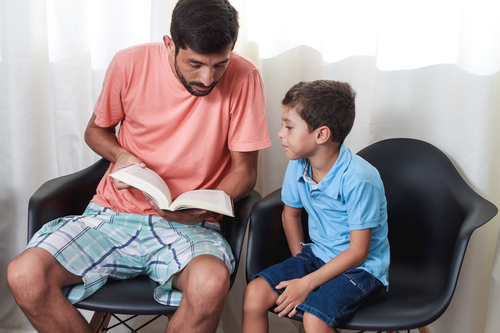 No matter how young your child may be, get in the habit of reading to them on a regular basis—even if they're so little they don't understand much of what you're saying. Just being around words, hearing them spoken, and getting comfortable with language overall, are all immeasurably beneficial to even the youngest child and will serve them well when it comes time for them to learn how to read. Again, there is no such thing as "too early" when it comes to communicating. Talk around your child as much as possible when they're infants, even though they may not comprehend what you're saying. For toddlers and older kids, engage them in frequent conversation. You are introducing them to using and hearing words on their own; when they learn to read, they will already have a working understanding of how the words on the page are spoken and utilized. Fostering your child's creativity might also spark their interest in and comfort with reading. Have them tell you a story, and write it down as they're regaling you with it. Then, read it back to them and show them the different words and sounds and images they created. This type of reading help will inspire your child to make connections between how words look on paper and how they sound in the everyday world. Before a child can learn full words, they first must learn how individual letters sound. Toddlers and preschool-age children can increase their proficiency with letters and sounds by playing phonetics games. From basic wooden blocks to the most sophisticated computer game, there is an activity out there to give your child just the right style of reading help. Asking your child questions about what they're reading or have just finished reading can ensure they stay on the right reading track. When they're assigned a book report in school, quiz them about it to see how fully they understood what they've read. If they're reading a story just for fun, show your excitement and enthusiasm by taking an interest in the story. Who are the main characters? What interesting predicaments have they gotten into? What are their personalities like? Thinking about what they are reading and analyzing the meaning behind the words are crucial skills that will only help them later in life. If your child requires some additional reading help, trust the learning professionals at FasTracKids. FasTracKids offers a variety of enrichment programs to students throughout the Brooklyn, New York, area. Call (718) 260-8100, visit them online, or message them on Facebook or Twitter to sign your child up for reading help.